The radiator fan is placed between the radiator and the engine and while its function may seem unimportant it is actually not. The radiator fan does the significant job of keeping the coolant cool when it becomes hot. The coolant circulates between the radiator and the engine’s coolant chamber, so it is natural for it to heat up while absorbing the engine’s heat. The radiator fan does not allow the coolant to heat up, because if it does a number of problems can arise. The radiator fan can wear out due to excessive use or simply because of age. It cannot last forever, and neither can it keep working efficiently without you taking care of it. When it does start to fail, you will feel a few symptoms, that can indicate a repair or replacement. The radiator fan makes a noticeable sound when it operates. This sound is made by the cooling fan motor which activates the fan to move fast. Its whirring sound can even be heard inside the car before you start up the engine. If you cannot hear the audible noise, you could have a radiator fan failure which could cause further problems for your ride’s performance. So, it is best you get it checked with by your mechanic. When the radiator fan stops working, the coolant does not cool down. The hot coolant keeps circulating between the engine and the radiator and over time the engine starts to heat up. The thermostat catches the rising engine temperature and it triggers the temperature gauge found in your car’s dash to rise. Rising temperatures can cause engine seizure, which means lots of money. In order to protect yourself from a possibly high expenditure, you should spend a little amount to reignite the radiator fan. The coolant can boil up and evaporate if its temperature is not maintained. The radiator is responsible for maintaining the coolant’s temperature, however, if it does malfunction your coolant can disappear into thin air like a magic trick. If that happens, your car might be facing a number of problems and a failing radiator fan could be one of them. Therefore, a radiator fan needs to be kept in tip-top condition to ensure the coolant volume is maintained at all times. The radiator fan has three major electrical components that give it its power. The fan motor, relay, and the resistor. A problem with any of these three components can cause a problem with the fan, so it is best to test their integrity before going for a repair or replacement. The fan is powered by electricity which is supplied by the car’s battery. However, the relay is the piece which makes sure the fan gets the correct voltage and ampere to work efficiently. Relays can fail due to age or power surges, so it is best to get them checked before you waste any money on the radiator fan itself. If the relay has gone bad, you can replace it with a small amount of money. The relay transfers the electricity coming from the battery on to the radiator fan’s motor. This motor works continuously while the car is running. Hence, it can wear out easily. Without its proper function, the fan will either not work at all or work so slow that the coolant is not able to cool down properly. In any case, the engine will face the music and move towards failure or seizure. The fan motor is expensive, so you need to get it checked by a certified mechanic first, who can give you proper advice on your next move. If the motor needs repair, the mechanic will charge you a good healthy amount for his time. The resistor allows the fan to work at more than one-speed setting. Different speed settings can help the engine cope up with heat issues efficiently. However, if the resistor goes bad, you can have several issues with the engine’s performance. Inspecting all three of these components can solve half your problems. Other than that, if a repair is mandatory, you have no other choice but to spend money. Fan repairs are not very costly since they involve repairing an electric circuit. However, if the fan blades are damaged and the resistor along with the motor has fried, you can expect nothing else than a costly replacement. 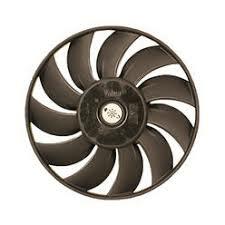 Furthermore, any replacement of the radiator fan means, the replacement of its other related parts. If you are talking about a resistor, it costs $50 – $80 depending on the quality you buy for your radiator fan. The radiator fan’s motor is the largest of the three major radiator fan components and so it is natural for the motor to cost the most money. Keep in mind that the cost of a motor ranges from $300 – $700 depending on your vehicle, its model year and the motor’s availability. The biggest problem when it comes to replacing old parts with new ones is the new part’s availability. If your car is old and rare, its parts will probably cost the most. Furthermore, if your vehicle belongs to the luxury car segment, you should hope for the highest price in the bracket. To top off the part’s price, you would have to pay the mechanic his labor. This can cost you an additional $100 give or take. A relay costs $80 – $100 and can be replaced easily, so you don’t need the help of a mechanic. However, when it comes to the radiator fan’s blade, you should worry about spending some more money. The radiator fan’s blades are made up of metal or plastic. It is up to you, to decide which material you choose to go with. Usually, people choose the rigid metal material so it doesn’t get damaged very easily.